The Story Of Three: 3/$5 Rollback on 64 oz. Snapple Peach, Diet Peach, and Kiwi Strawberry ONLY at Walmart! 3/$5 Rollback on 64 oz. Snapple Peach®, Diet Peach, and Kiwi Strawberry ONLY at Walmart! 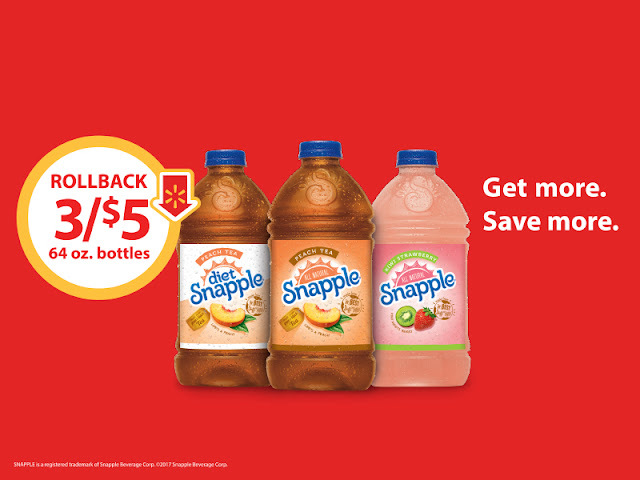 Shop at Walmart now through April 27th and snag three of your favorite Snapple drinks for only $5.